After a decade-long addiction to crack cocaine and alcohol, Charlie Engle hit bottom with a near-fatal six-day binge that ended in a hail of bullets. 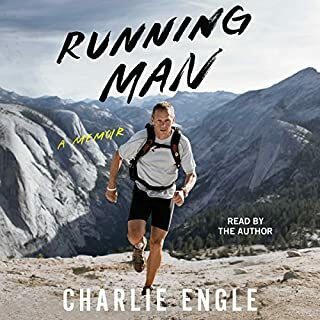 As Engle got sober, he turned to running, which became his lifeline, his pastime, and his salvation. 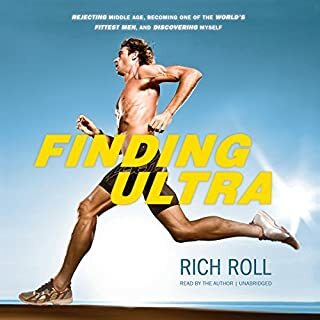 He began with marathons, and when marathons weren't far enough, he began to take on ultramarathons, races that went for 35, 50, and sometimes hundreds of miles, traveling to some of the most unforgiving places on earth to race. Dan Buettner, the New York Times best-selling author of The Blue Zones, lays out a proven plan to maximize your health based on the practices of the world's healthiest people. For the first time, Buettner reveals how to transform your health using smart eating and lifestyle habits gleaned from new research on the diets, eating habits, and lifestyle practices of the communities he's identified as "Blue Zones" - those places with the world's longest-lived and thus healthiest people. 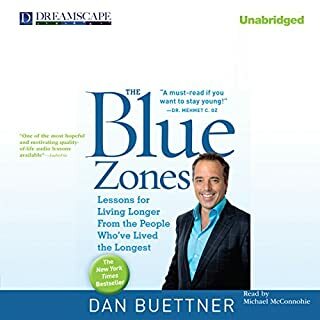 With this audiobook's audacious belief that the lifestyles of the world's Blue Zones could be adapted and replicated in towns across North America, you'll be inspired by the specific stories of the people, foods, and routines of our healthy elders; understand the role community, family, and naturally healthy habits can play to improve our diet and health; and learn the exact foods - including the fifty superfoods of longevity and dozens of recipes adapted for Western tastes and markets - that offer delicious ways to eat your way to optimum health. ©2015 Dan Buettner (P)2015 Blackstone Audio, Inc. 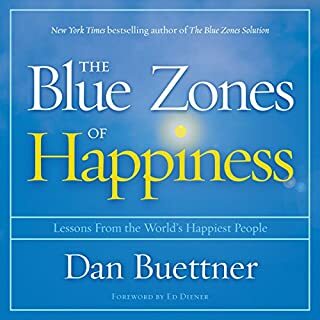 The stories and insights into the lifestyles of people in blue zone (or high longevity) areas were good, and it was interesting his success (albeit hard to measure) on mass changing community habits. 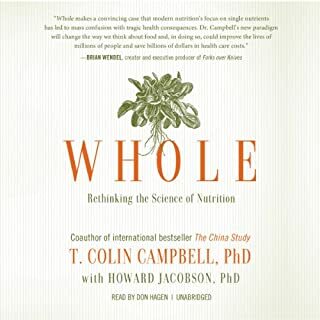 A good book about the power of changing whole community environments to achieve better health outcomes, rather than the mainstream prevailing mantra of placing the responsibility on each individual (which is a bit unfair in a junk food environment). 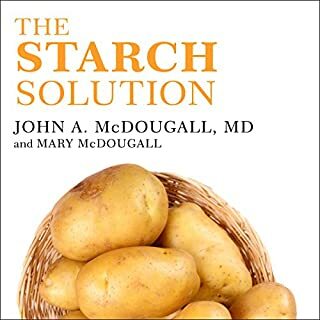 However for me this book fell over with the nutritional advice, he advocates and perpetuates failed nutritional advice from 20 plus year ago, based on outdated fundamentals including: the simplistic calories in and calories out cause of obesity, free radical theory of aging, dietary saturated fat and cholesterol cause for heart disease, eating a low fat diet and, eating a big breakfast. Although he does recommend a low sugar diet (with no differentiation of glucose and fructose though) and a low animal protein diet which is a start. He also quotes countless epidemiological studies: he doesn't seem to understand correlation doesn't mean causation. i.e. healthy people often cluster habits (the 'healthy user bias'), so a survey indicating one habit is healthy probably means healthy people do that habit (because they think it is healthy) and not necessarily that the habit is healthy. He then quotes these studies in a way that perpetuates the perception that the habit is healthy, making a self confirming loop. Great concept, great scientific evidence, great action plan for massive change in communities. Very well done! What made the experience of listening to The Blue Zones Solution the most enjoyable? 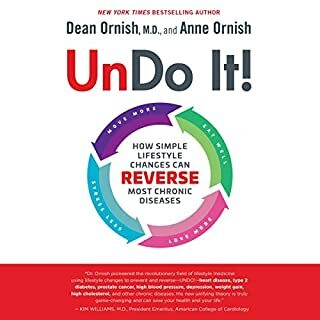 Though this is a non-fiction book, it is presented as a series of stories that made it enjoyable to listen with good actionable information, not just a bunch of statistics. Some people are giving bad reviews because they can't find the attached reference material and recipes. They should consider reading the description and downloading the companion PDF before giving a bad review because they apparently would rather complain than read actual words to see that the PDF is in their library. In short, the blue zones presents evidence and examples of things we already knew. Eat real food from the earth and avoiding overly processed goods. Stay active in your day to day life. Office jobs probably take 10 years off a man's life. Belong to community that is positive and supports you. A community that reinforces these positive habits and you'll live a long and healthy life. 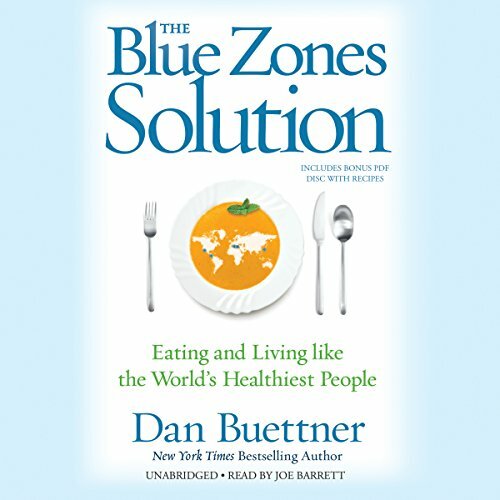 Would you consider the audio edition of The Blue Zones Solution to be better than the print version? 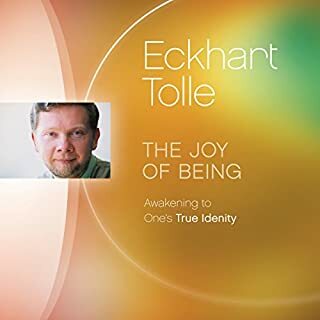 I am glad to have used the audible version of this book because of the convenience factor. I listened in the card and enjoyed every minute of the audio. What was one of the most memorable moments of The Blue Zones Solution? The blue zone principles were taken to Iowa and it was a success because of the local buy in. Supporters brought their finances to the table and volunteers made the program a success. Dan Butner was portrayed well by Joe Barrett. He made the story exciting. The book is great and eye opening. This is a must read for people seeking to improve their lives. Since I read this book I want to eat beans, think of chores as a good thing, and retire in a blue zone area. Would you listen to The Blue Zones Solution again? Why? Yes, I loved this book. As a dietitian and personal trainer, clients are always wanting to follow a fad diet. I have always rejected the all or nothing mentality and try to keep messages simple and science-based. 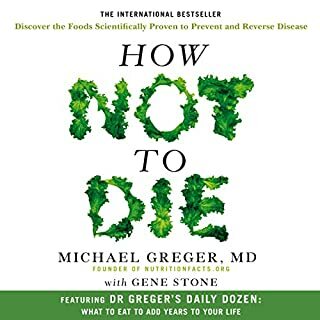 This book illustrates that movement, connection and a Mediterranean diet should be embraced and eliminating most carbs and increased meat intake are not paramount to good health. 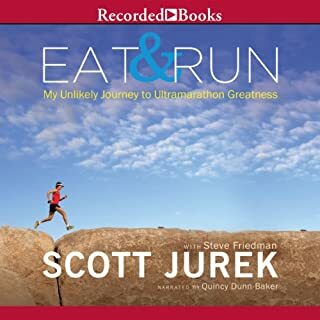 I love audio books because I can go back and replay areas that I want to cement in my memory. I've listened to many other books that Joe has narrated and find his voice very calming. Enjoyed the narrator, really believed that he actually really knew what he was talking about. My family and I will be incorporating a number of the rules associated with this book. I have already recommended this book to a number of people. A book like this should Inspire Americans to realize what's wrong with our diet. Obesity and cancer rates have grown so high something must be done. What did you love best about The Blue Zones Solution? 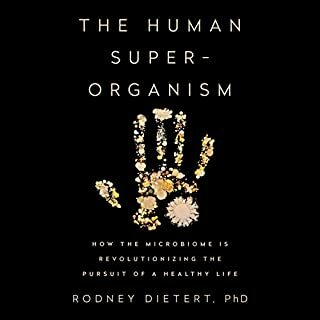 I was impressed that the author went to the source-the people who have made it to be centenarians and beyond, and combined their first-hand accounts with the science of longevity. The ideas for putting the information into action in your own personal life. Interesting stories of real people who are living exemplary lives. After reading I felt inspired to examine my own life and implement positive changes for my whole family. 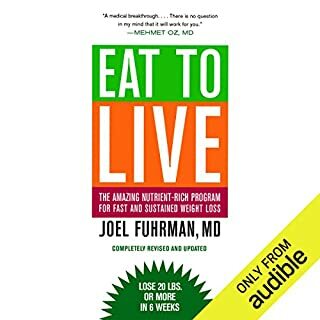 Good book for someone starting to think about diet. Mainly for the American society. Nice little details about combinations of different ingredients, mainly vegetables.